Family Honor (Sunny Randall) by Parker, Robert B. Bad Business, Spencer, Robert B Parker, Putnam hardcover, 1st prt, 1st edt. Double Deuce, Robert B. Parker, Spencer, Putnam hardcover, 1st prt, 1st edt. 5 out of 5 stars - Double Deuce, Robert B. Parker, Spencer, Putnam hardcover, 1st prt, 1st edt. 1 product rating1 product ratings - Double Deuce, Robert B. Parker, Spencer, Putnam hardcover, 1st prt, 1st edt. 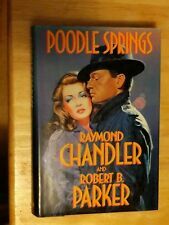 Chance, Spence Mystery, Robert B. Parker, Putnam hardcover, 1st prt, 1st edt. Stardust, Spencer, Robert B Parker, Putnam hardcover, 1990, 1st prt, 1st edt. 4.5 out of 5 stars - Stardust, Spencer, Robert B Parker, Putnam hardcover, 1990, 1st prt, 1st edt. 2 product ratings2 product ratings - Stardust, Spencer, Robert B Parker, Putnam hardcover, 1990, 1st prt, 1st edt. Walking Shadow, (Spencer) Robert B Parker, Putnam HC/DJ, 1st prt, 1st edt. Melancholy Baby, Sunny Randall, Robert B Parker, Putnam HC/DJ, 1st prt, 1st edt. 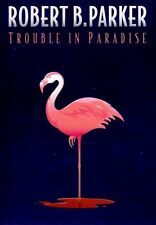 4 out of 5 stars - Melancholy Baby, Sunny Randall, Robert B Parker, Putnam HC/DJ, 1st prt, 1st edt. 1 product rating1 product ratings - Melancholy Baby, Sunny Randall, Robert B Parker, Putnam HC/DJ, 1st prt, 1st edt. A nice, clean, tight, unmarked, unread, hardcover copy of "All Our Yesterdays " byRobert B. Parker , published by Delaeorte Press, ISBN 038530437, first printing of the first edition. Soon the cold art case thrusts Spenser into the shady world of black market art dealers, aged Mafia bosses, and old vendettas. Spenser Series. The heist was legendary, still talked about twenty years after the priceless paintings disappeared from one of Boston's premier art museums. WILDERNESS. ". Delacorte Press. New York (1979) UNCORRECTED PROOF. Fine in plain beige printed wrappers. SIGNED by Robert B. Parker on the title page. A Jesse Stone Novel: Robert B. Parker's the Devil Wins 14 by Reed Farrel Coleman. Condition is Like New. Shipped with USPS Media Mail. They are all paperbacks. They are in good or better condition. The books are See them here. The Godwulf Manuscript. God Save The Child. A Catskill Eagle. IF YOU ARE BUYING MORE THAN ONE ITEM. Robert B. Parker's Mystery Thriller "The Professional - a Spenser mystery" was published as hardcover with dust jacket by Putnam c2009 (978-0-399-15594-9). Book is a 1st Edition, 1st Printing, in Like New condition: no obvious faults or issues. This book has been read but is in good condition. The dust jacket for hard covers may not be included. Binding may have minimal wear. No missing pages. Book club edition on the inside flap of dust jacket. Robert B. Parker's Mystery Thriller "Rough Weather" was published as hardcover with dust jacket by Putnam c2008 (978-0-399-15519-2). Book is a 1st Edition, 1st Printing, in Like New condition: no obvious faults or issues. Robert B. Parker's Debt to Pay by Reed Farrel Coleman (2017, Paperback).... Condition is Like New. Shipped with USPS Media Mail. Protective mylar cover has swirl-marks, smudges, and scratches, which may continue onto the jacket. Two-tone blue and black hardcover has sun-fade along the top-edge and light spine lean. Overall, it is in Very Good condition. We're starving to be the best and most cost effective choice for all kinds of book collecting. Are you a book collector?. Let Famine Books help you find what you're looking for! Whether you're looking for a reading copy of your favorite obscure sci-fi paperback, a specific number of a limited edition, or a perfect copy of one of the classics, we can help you find it. G.P. Putnam's Sons, New York, 2007. Book condition: Fine. Dust Jacket condition: Fine. 1 st Edition. first printing, full number line. No writings, markings, folds or creases. Binding is tight and square - book appears unread; corners are sharp. 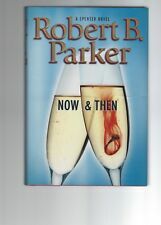 Robert B. Parker's Mystery Thriller "Now & Then" was published as hardcover with dust jacket by Putnam c2007 (978-0-399-15441-6). Book is a 1st Edition, 1st Printing, in Like New condition: no obvious faults or issues. Condition is Good. That’s the law. And we don’t need or want trouble with the Commonwealth. You are looking at a copy of THIN AIR by ROBERT B. PARKER (Paperback 1996). Trending at C $4.98eBay determines this price through a machine-learned model of the product's sale prices within the last 90 days. Book is a 1st Edition, 1st Printing, in Like New condition: no obvious faults or issues. The image is of the book that you will receive. This is not a condition issue. Robert B. Parker's Mystery Thriller "Night Passage" was published as an oversized Paperback by Berkley c2008 (978-0-425-18396-0). Book is a 20th printing in Very Good condition: light chipping at cover edges, moderate spine creasing, a 1" crease in the lower right corner of front cover, no other obvious faults or issues. Pale Kings and Princes: by Robert B. Parker (PB). Children section. New and Used. 143 North Main Ave.
By Robert B. Parker. Pristine dust jacket with maylar cover added. Crisp, clean pages. Light Shelf or Handling Wear. These automated dates are generally incorrect. A Jesse Stone Novel: Robert B. Parker's Blind Spot Bk. 13 by Reed Farrel Coleman. Condition is Like New. Shipped with USPS Media Mail. U.S.A.: Delacorte Press/S. Lawrence, 1981. Book Condition: VG (remainder spray-purple to bottom of pages) Dust Jacket Condition: VG . SIGNED BY AUTHOR! First Edition, Stated First Printing, A Very Nice copy!